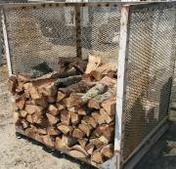 We offer quality seasoned firewood year-round delivered right to your house. We know our wood has low moisture content because we purchase it over a year in advance and let it season right here in the dry desert climate until it is time to sell to you. 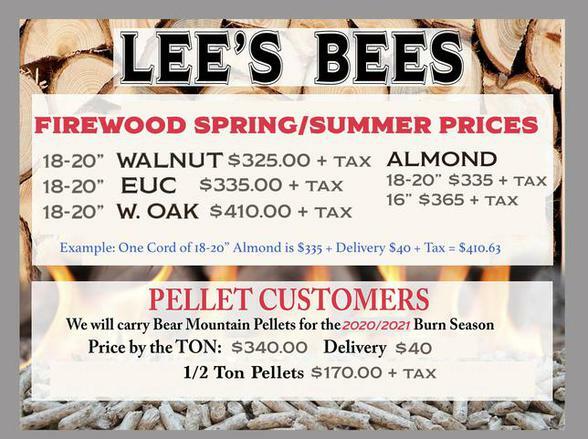 Our seasoned firewood includes Almond, Red Oak, White Oak, Walnut (SOLD OUT), Citrus (SOLD OUT), Eucalyptus & Pine (SOLD OUT). Our standard length is 18"-20", however, some of our wood does come in special cut lengths of 16" or 24". See below's chart for specific sizes and prices. 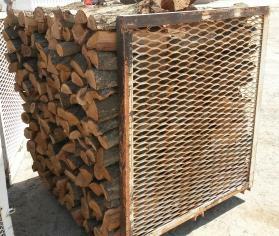 During every summer we offer our Summer Sale on firewood. Join our mailing list to stay informed on when the sale will happen in 2019.